Elizabeth Hardwick was born in the early 16th century –– a contemporary of Elizabeth 1st and definitely cut from the same fierce cloth. Although her beginnings were modest, 4 brilliant marriages increased her stature exponentially. 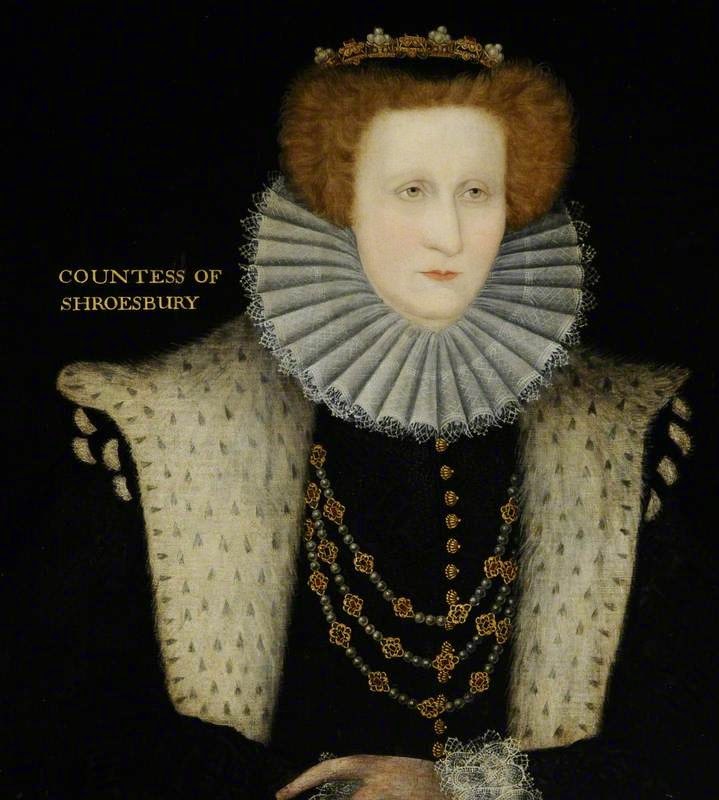 She became enormously wealthy, powerful and respected –– with a brilliant mind and indomitable will –– she even defied Queen Elizabeth and got away with it. She was quite a dame. I have felt drawn to her for many years, probably because she loved architecture and impressed her love of light upon the builders and architects of her houses to such a degree that it inspired a rhyme about Hardwick house, “Hardwick Hall - more glass than wall.” The lady certainly had the wherewithal to see her original designs realized. I've always wanted to see the hall in person. I finally got to cross Hardwick Hall off my bucket list. I had known about Hardwick Hall for eons but was surprised to discover Old Hardwick in noble ruins beside the new hall. I was in love. Bess's very individual ideas about houses can even be seen in the ruins of Old Hardwick. She decided to place the reception rooms (the most grand spaces in the hall) on the top floor instead of following the traditional plan that put the reception rooms on the ground floor –– 'tis better to see England's emerald vistas from a lofty perch. The lush countryside was easy to view through the large windows. In a way, Hardwick Old Hall was a dry run for the new hall, but only just. Bess had been born in a small medieval house on the property, but she tore it down and started over in 1587, just a few years before employing Robert Smythson to build her “Prodigy House” in 1590 right next to it (a prodigy house was a grand place meant to impress visiting kings and queens on their progresses (both an honor and a curse, the trips could empty the coffers of gentry who had gotten a bit to big for their britches –– long stays were ruinously expensive). 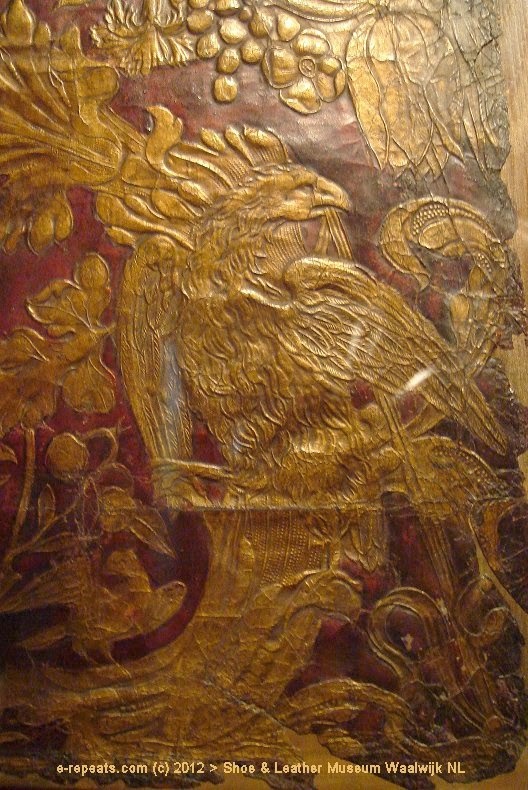 Smythson was an excellent choice for New Hardwick. 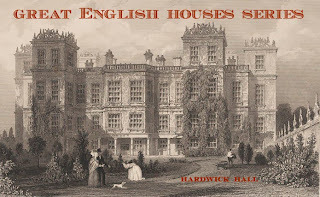 He was a master mason on Longleat (you can read about it HERE) who had been bumped up to the category of “surveyor” or “architecter” by the time he built divine Wollaton House –– he was much in fashion by the time he worked at Hardwick. 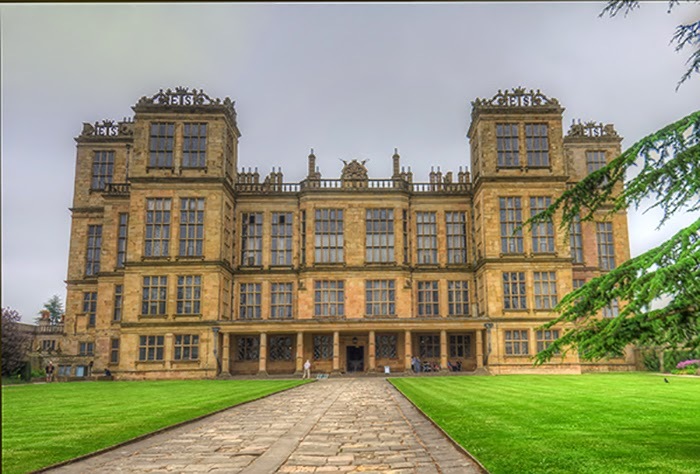 Old and New Hardwick Hall were both fully engaged to entertain large parties during Bess's time. 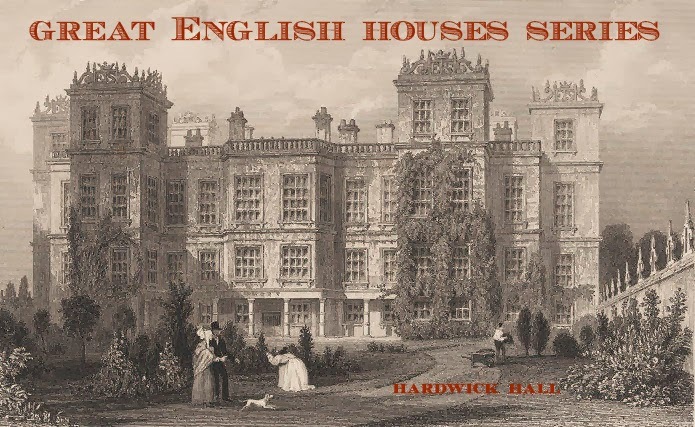 New Hardwick is grander but the remaining lineaments of the old hall (and remarkably detailed household inventories of Bess’s time) show a house of great elegance and charm filled with tapestries and an uncommon amount of tooled leather hangings. Many of the of the old house's fine contents were deployed to various family properties when the old house was no longer habitated. It did have a second life as a ruin. Trees were actually planted inside the house amidst crumbling floors. It was a fashion in the 18th and 19th century to have a ruin (known as a folly) on your property –– neither ancient crumbling abbey, Norman castle or faux classical Temple as was the fashion, Hardwick Old Hall was an unusual folly as is stood next to a house that was the same vintage as the ruin. Now missing most floors and open to the skies, small lead 'roofs' offer some protection for the plasterwork that has been limed to show up white as could be. There is even the ghost of the great kitchen with giant fireplaces and ovens. How I wish I could have seen it in its prime. 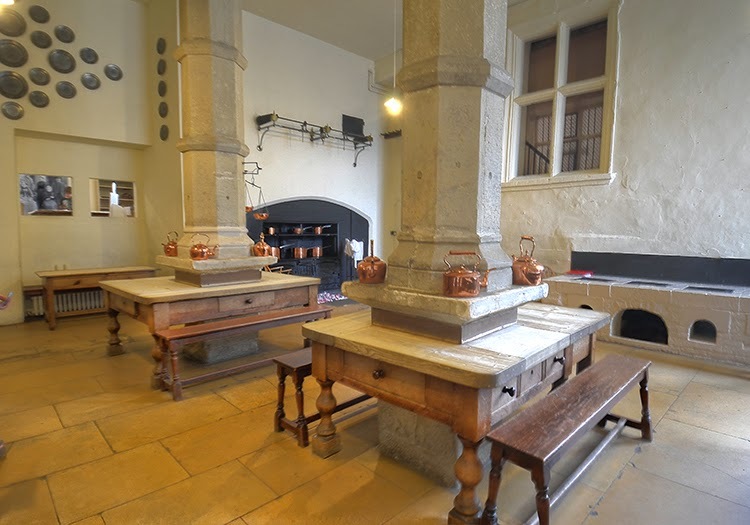 Modern cast iron stoves replaced the great fireplaces in the 19th century –– although some of the earlier ovens and cooking surfaces remain on the right, and a turnspit hangs over the oven as a reminder. Glowing copper replaced the old Tudor era pots and pans. The above stairs was pretty posh too. Of course there’s the famous view with the amazing windows and Bess’s initials carved rather proudly like alphabet crowns. When she entertained on the roof (as was the fashion of the day), it must have had quite an effect on the guests. 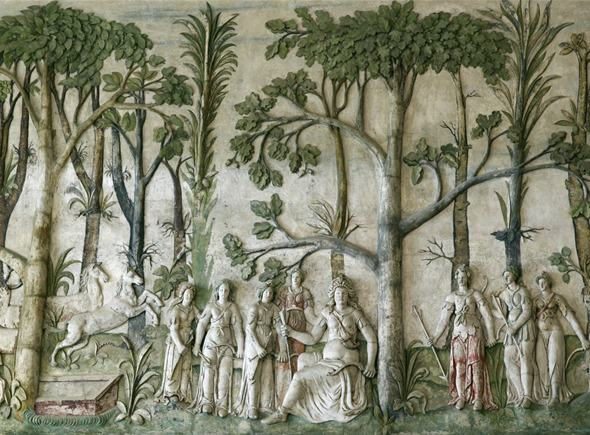 There were brilliant receiving rooms like the High Great Chamber with the captivating huntress Diana holding court in the forest frieze that circles the room. The great long gallery is the largest surviving Elizabethan example of the form –– 51 meters (167’) long and still decorated with mostly original hangings. 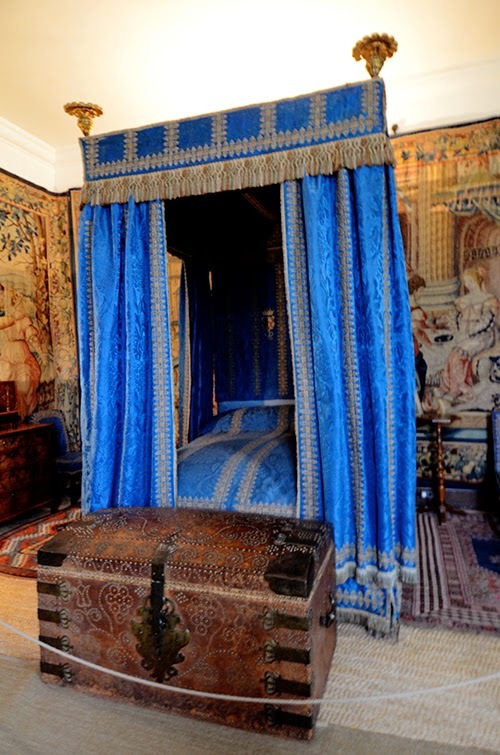 A 19th century addition of a fun but wildly overdone late 17th century State Bed tester adds a bit of drama. The Sea Dog table -- thought to be one of the most important Elizabethan pieces to survive to the present – pictures do not do it justice – takes your breath away. Admittedly, the dining room was a bit of a letdown. It is fine in its own way, but the 18th century furnishings lack the strength of the furniture from Bess’s time when great massive tables would have been set in the more grandly proportioned rooms. This just felt mismatched and wrong. Bess came before the idea of a separate dining room had become fashionable. I had to think more “Great Hall” than the motley Hardwick dining room as I pondered my favorite question, what did they eat? As the New Hall was built between 1590 and 1592, I thought something from Bess’s time would be appropriate. 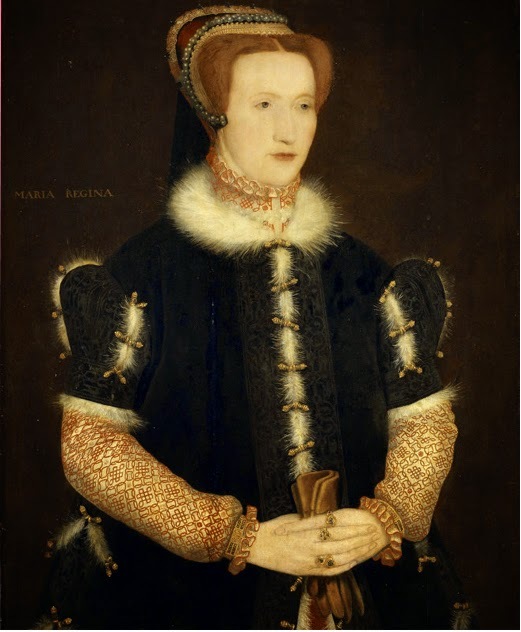 Since she lived to a vibrant 80 or more (her birth date was not certain – anything from 1520-27), I thought she must have enjoyed good healthy food to keep up with the demands of running so many households (Hardwick, Chatsworth, Sheffield Manor, Tutbury Castle and Wingfield Manor). The Good Housewife’s Jewel was written in 1596 by Thomas Dawson and it’s full of great recipes for vegetables, stews and pies as well as desserts (although they were part of the dinner and not thought to be a final course at that time). It seemed a great resource for Bess's nosh. It was hard to choose between an almond broth stew, oyster pie and spinach fritters but spinach won the day. I imagine Bess, pouring over plans whilst popping a few of these dainties for sustenance -- washed down with a good English ale. To make Fritters of Spinnedge. I was fortunate that I did not have to develop a recipe this time -- wrangling measurements out of the barest hints of proportions in the 1596 description of the dish can be trying and time consuming. 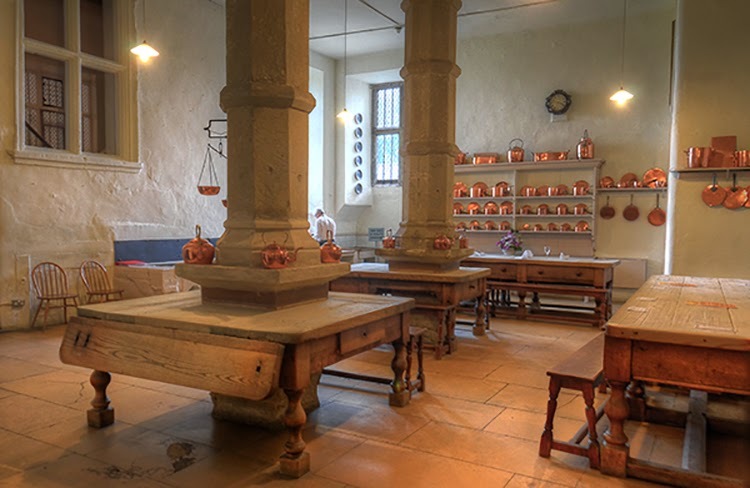 Lucky for me, the brilliant Mark Melton, food historian at Hampton Court (that I wrote about HERE) had already done the legwork and Christine Muelke of the NYTs had published it in 2006. They are addictive, delicious and surprising. The spinach sort of dissolves into a greenness and they taste a bit like a donut with a warm, spicy filling. 2. Squeeze out as much water as possible and transfer spinach to a cutting board. Using the back of a large knife, pound the spinach repeatedly to break down the fibers in the stalks and leaves. When the spinach has a mashed appearance, chop coarsely. Transfer to a large bowl. Add the eggs and mix well. Stir in the salt, pepper, ginger and cinnamon. 3. Using a food processor, or by hand, finely chop the dates and currants. Add to the spinach mixture and stir until blended. Mix in ð cup bread crumbs and allow to sit for 2 to 3 minutes. The mixture should be thick enough to shape into balls about 1 ¼ inches in diameter. If necessary, add more bread crumbs to obtain the right consistency. 4. Place a wide, deep pan over medium heat and add enough oil to come about 1 ½ inches up the side of the pan. Meanwhile, in a small bowl, make a batter by mixing together the flour and beer, stirring until very smooth. 5. When the oil is shimmering, dip a spinach ball in the batter, allowing any excess to drip off. Place the ball in the oil. It should begin to fry immediately, turning light golden brown in 1 to 2 minutes. Remove and drain on paper towels. Repeat with the remaining balls and batter, adjusting heat as necessary. 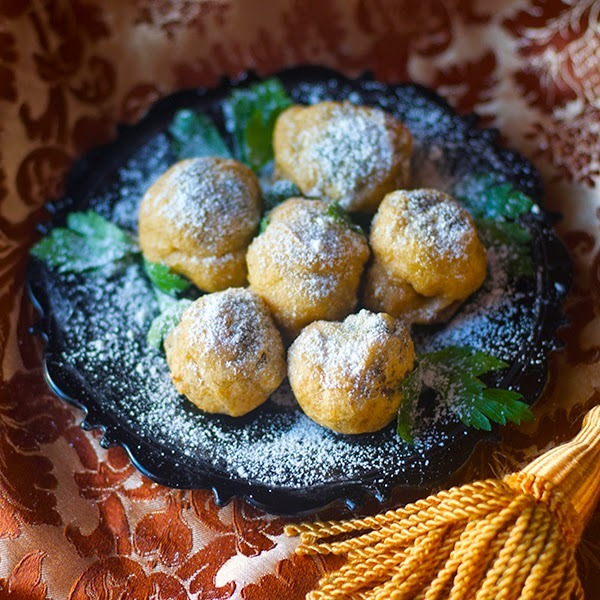 Dust with confectioners' sugar and serve hot. 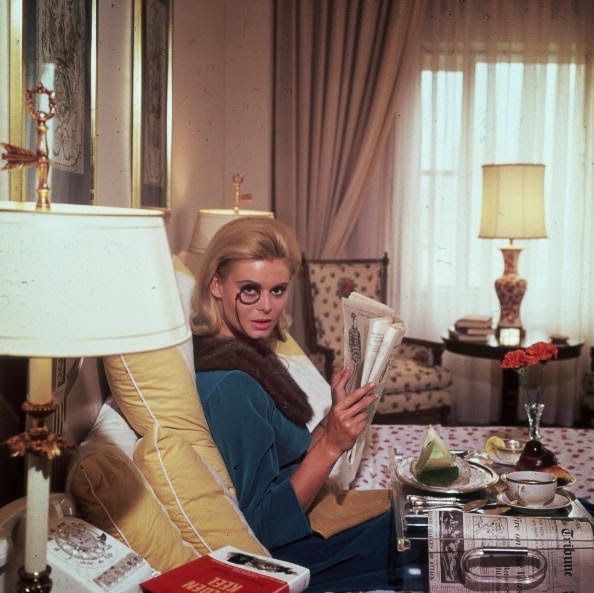 I'm off doing 2 episodes of a TV series (1960's crimes-fun!). Will try to be do a blog every few weeks and not be gone so long! 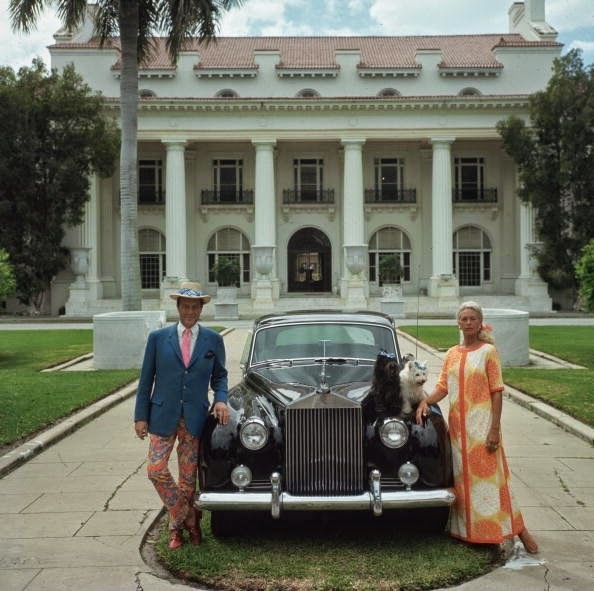 While slaving away at the film factory this summer, I came across this photo of Truman Capote from an exhibition of the work of the late society photographer Slim Aarons. While Aarons was known for shooting “attractive people doing attractive things in attractive places’ –– this was so much more. The 1958 photo made the rounds of the art department and the opinion was universal –– it’s remarkable. 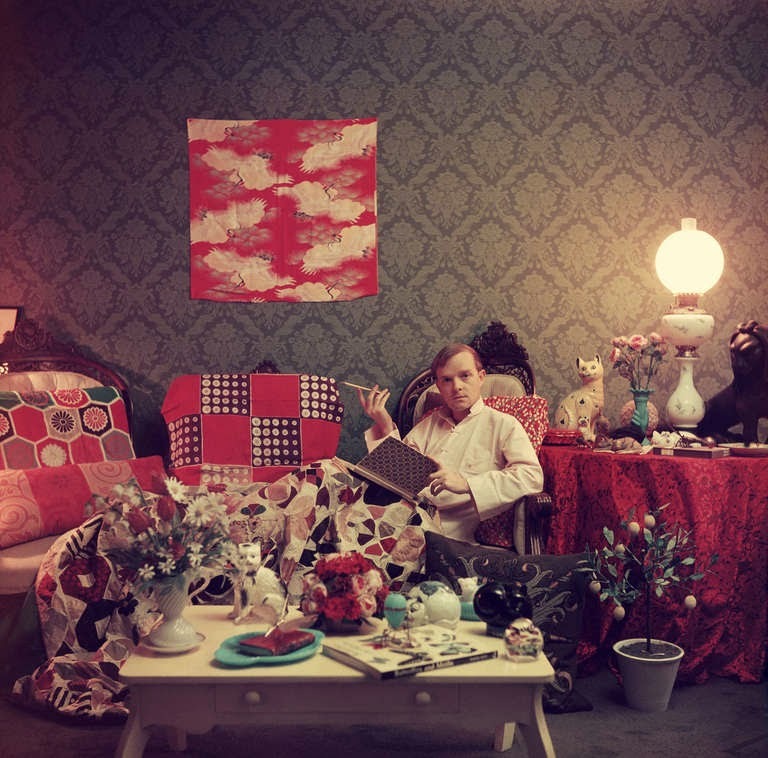 The styling was so divinely odd –– the then-adorable Capote surrounded by curious cat porcelains, Japanese textiles draped and pillowed and hung in very idiosyncratic ways and the lone scraggly potted lemon tree like a poor relation at his elbow. In the midst of it all Truman –– looking like a little lost boy about to receive the Mad Hatter for tea. 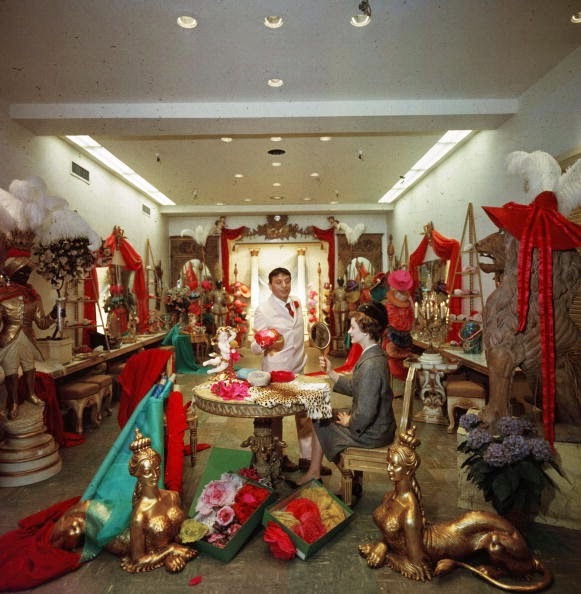 Slim Aarons loved capturing the rich being rich in a slightly odd, tongue-in-cheek way. Aaron’s charm was so potent that the subjects seemingly didn’t recognize they were being sent up a bit – there’s the teeniest touch of Diane Arbus in some of the portraits. Even the mortals who serve the rich were not spared from the insouciant eye of Mr, Aarons. 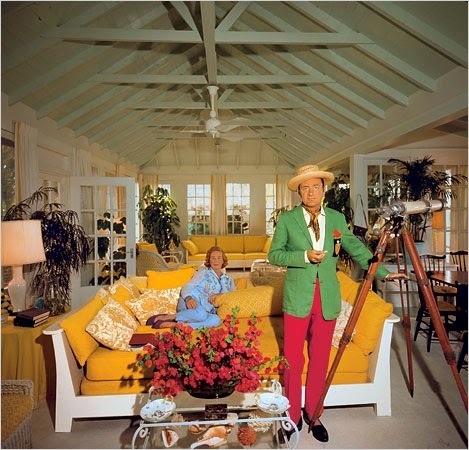 He did iconic candid portraits of the stars, capturing them at ease with him and his camera (it was said Stewart’s Rear Window apartment was based on Aaron’s NYC apartment and Stewart often told people who thought they recognized him that he was Slim Aarons, not Jimmy Stewart). 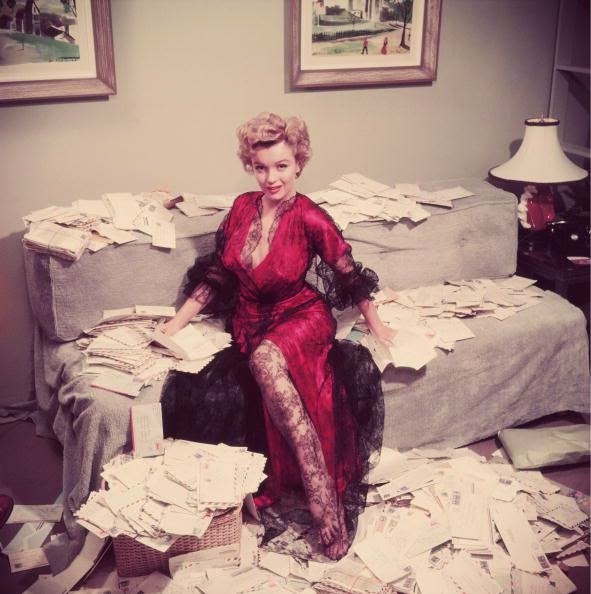 He could also change gears and do ravishing glamour shots of Monroe in her prime and decidedly un-candid. 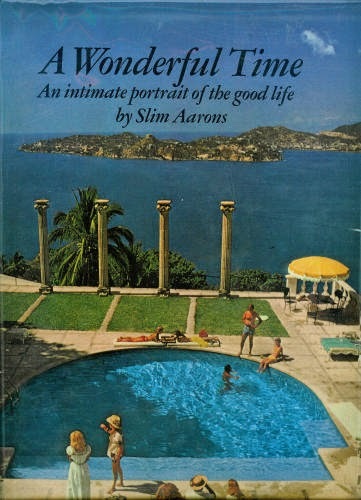 There are quite a few of Aaron’s books on the market like Slim Aarons: Once Upon A Time or, if you don’t feel like hauling a hard copy around, enjoy the many wonderful online articles on Slim's work and life on your device –– a zillion more fun photographs to peruse for a delicious escape from the steamy summer into a never-neverland that is gone forever. Early in his career, Truman Capote supplied some trenchant dialogue for John Huston’s film Beat the Devil, "Time, time, what is time? The Swiss manufacture it. The French hoard it. The Italians squander it. The Americans say it is money. Hindus say it does not exist. You know what I say? I say time is a crook." 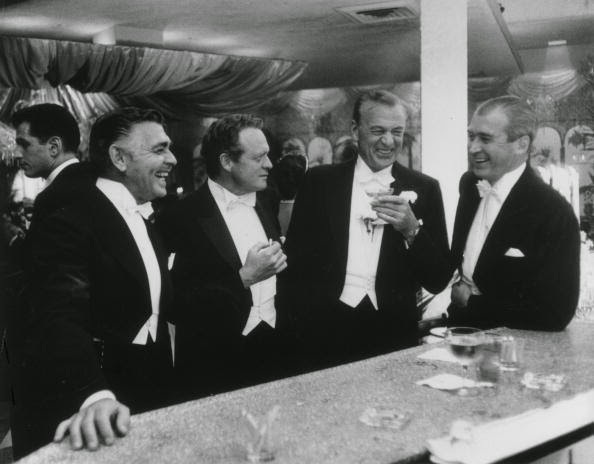 Capote would grow old, as would all the beautiful people in Aarons’ richly upholstered world –– no matter how much they struggled against it –– but within the pages of Aarons books, his beautiful people never age. It’s fun to visit them in their native habitats –– forever rich and beautiful. What to eat? Gosh, I haven’t written that in months, have I? I wanted something that would have appealed to Capote, Aarons and their crowd and returned to my little Colony Restaurant book (I wrote about the Colony playground HERE). 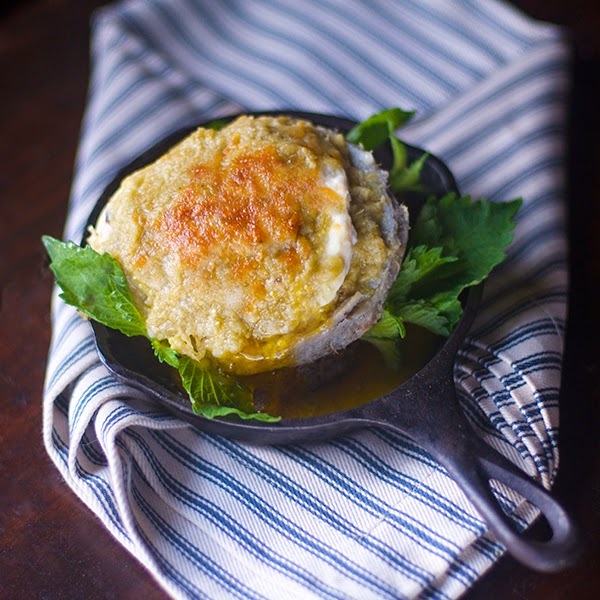 Since I found myself with so many lovely eggs from my farm supplier, I just had to make an egg dish since the Colony was known for their egg dishes –– perfect for the late-to-bed-late-to-rise crowd, sometimes delivered to them in their Park Avenue palaces! Hells bells, I wanted something to pamper me after a grueling few months! This one is simple and divine –– poached egg on an artichoke heart with Parmesan-glazed artichoke puree on top. It takes a few minutes to scrape the artichoke leaves but is so worth it. They are just coming into season and are so good. 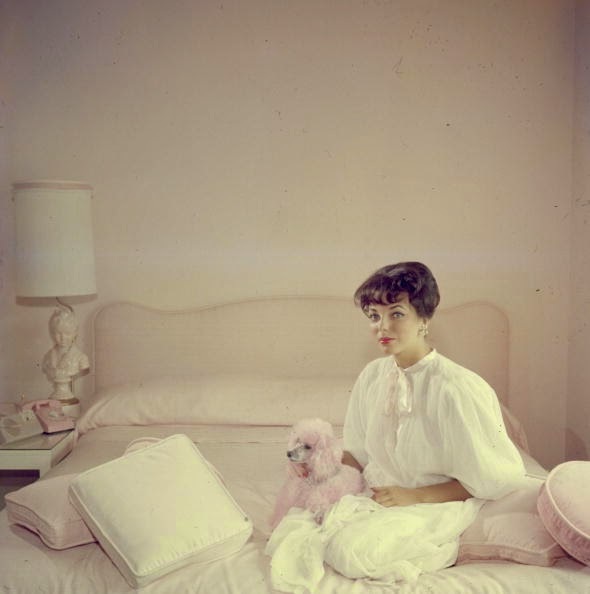 Put on your monocle, pick up your pink poodle and enjoy your Oeufs au Fonds d’Artichauts Colony in your beautiful boudoir. After boiling the artichokes remove the leaves and the chokes, leaving only the fonds. Scrape the edible part of the leaves with a silver knife, and make into a paste with butter, pepper and salt. Poach as many eggs as are required, and very carefully lay each egg on a fond of artichoke. Lay the paste already prepared on the eggs, sprinkle with Parmesan cheese, put a tiny piece of butter on each, and serve very hot. Steam the artichokes in salted water with lemon halves (left from squeezing juice) for about 25-30 minutes (or until the leaves pull out easily). Let cool a bit then pull out the leaves and scoop out the choke. Cover the hearts while you scrape the pulp from the leaves. This takes a bit of time but can be done beforehand. Do not scrape the fibrous dark part. Put the pulp in a blender with butter and puree with 1 T lemon juice. Season with salt and pepper to taste. You can put it through a sieve if you want to get rid of any extra fibers. I had 1/4 of puree from a large artichoke. Poach your eggs to taste (I like mine with a runny center) and heat the broiler. Steam the hearts till warmed through. Sprinkle a bit of lemon on the artichoke heart and spread a bit of puree on the bottom. Put under the broiler for a minute or two to warm. Take out of the broiler and place an egg on each heart and top with the puree. Then sprinkle with Parmesan. Run under the broiler for a few minutes till hot and serve on its own or on toast.